I’ve had a website and online presence now for almost 20 years, and I would like to know if this website is effective in reaching people. If you visit my site, I would like to ask you to enter a short comment to this post and let me know you visit sometimes, often….just a couple of words is all I need to try and determine if this website is doing it’s job of reaching people. This entry was posted in Uncategorized on 27 February 2019 by Michael Corley. I suggest that “the mind of Christ” that Saint Paul refers to (Philippians 2:5; I Corinthians 2:16), is, in effect, nondual consciousness/nondual seeing. It is marked by the capacity to see as God sees — which means to see everything with the eyes of love, the eyes of compassion, the eyes of mercy. This entry was posted in Nonduality, The Expositor, Uncategorized on 20 February 2019 by Michael Corley. The birth of Jesus so many centuries ago might have been a slightly-out-of-the-ordinary birth. Even in ancient times, stalls didn’t typically double as birthing rooms and mangers didn’t typically double as cribs for new-born babies. And that newborn baby was very much out of the ordinary. Of course, in some respects, He was perfectly ordinary. He was a human being, a baby. He got hungry. He got thirsty. He got tired. When He was born, He was wrapped in swaddling clothes—the ancient equivalent of Pampers. An infant. Helpless, hungry, cold, and tired. Yet, this child was the Son of God incarnate. He was Immanuel, which translated means “God with us.” According to the Apostle Paul’s account, this infant created all things. This infant created His own manger. 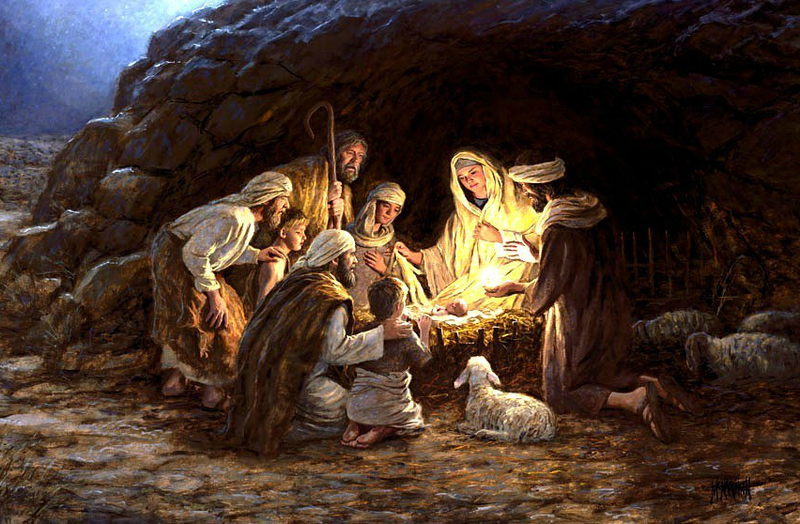 And this infant, this King, brings peace on earth, ultimate and permanent peace. This entry was posted in Christmas, Ligonier Ministries, Stephen Nichols, The Expositor on 7 December 2018 by Michael Corley.